He did not have a copy of the lovely 1890s book by John Addington Symonds In the Key of Blue (1893). The interesting thing about this book is that it is normally seen in cream cloth or if you are lucky vellum with a gilt pattern of laurel and hyacinths by Charles Ricketts. 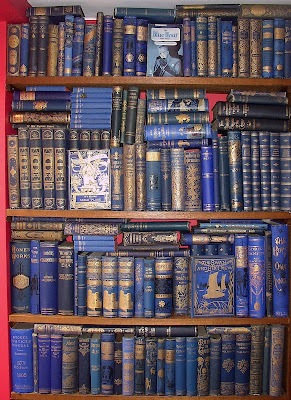 The first copies were actually blue but when Ricketts saw them he protested that the colour had to be changed because the critics would otherwise be tempted to refer to the binding as "Ricketts blue." This is a reference to a very old product which was used for washing clothes -- 'Reckitt's Blue' sold by the Carbolic Soap Company. Quite a few blue copies got through but it can go for $500 + and more if limpid. Some years ago I saw a collection of books with mirror covers- actually reflective covers- for sale. I always thought the whole poibt of such a collection- or the blue collection- was looking for and finding them individually. 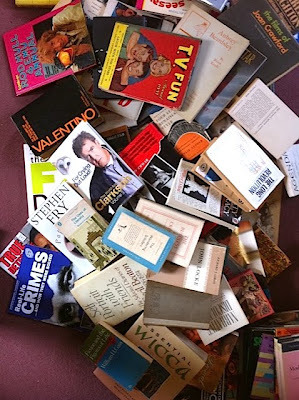 Buying the complete works of an author you want to read is one thing, butbuying a set of books for their external qualities, perceived by the collecter, surelybtakes away much of the point anf pleasure of collecting. I agree that the Symonds book is one of the loveliest of its era, and there was some pretty stiff competition (Silverpoints, Yeats's Poems etc) - although I have to say that my copy is not as blue as most of the books in the photo. Blue and gilt work so well together, though so do cream and gilt. 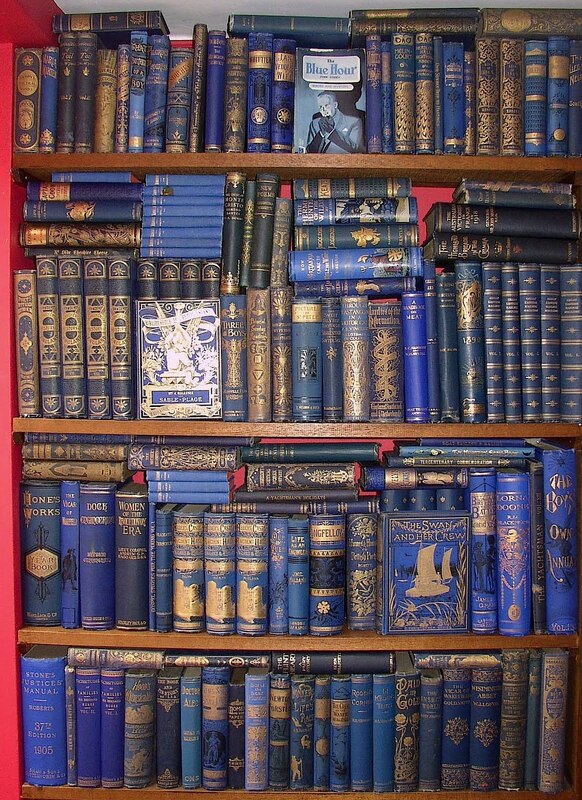 You should mention that clicking on the image of the blue books enlarges them beautifully . Pip! Pip!